Omnichannel sales demand an efficient order fulfilment process, and your pick and pack operations are one of the most important parts to optimise. Making the jump to an automated pick and pack process can increase the volume each picker can handle dramatically. No automated system can yet replace all of your pick and pack workers, but the best can make them much more effective. That leaves only 6 minutes per hour of actually picking and packing. A top of the line automated assistance system can cut the walk and search time of each employee to 24%, and improve their actual work output some 250%. How much is the other 2/3 of your workforce costing you? The flowthrough of your pick and pack process could be 500% what it is now without adding more employees of the space they take up – but volume isn’t the only improvement. 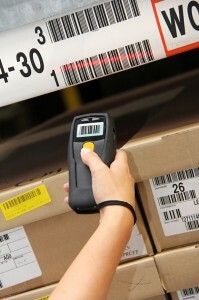 Automation systems such as bar code scanners, advanced information displays ad pick to light systems can improve the accuracy rate of your pick and pack employees to as much as 99.99%. Better still, the presence of automated resources can remove the need to bring in as many temporary people over the holiday rush. Many businesses will not feel that this is the time to be making large investments in automates pick and pack processes or other logistics programs. In fact, many are divesting more and more of their logistics function to 3PLs. These companies may actually be faster to respond to the needs of omnichannel sales because they can seek out a 3PL who has already made these changes. No matter how retailers gain access to automated pick and pack solutions, the competitive advantage is clear.